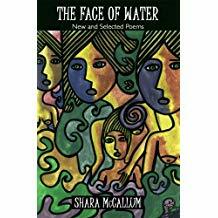 Lyrical and well-crafted, this collection of poetry presents some of Jamaican poet Shara McCallum’s best work. While touching upon various topics—including migration, identity, family relationships, motherhood, mental illness, storytelling, folklore, and myth—these poems transform the most painful and sometimes mundane details of life into works of terrible and satisfying beauty. Emotionally engaging and intellectually stimulating, this compilation celebrates the poetics of both the Caribbean and of North America.